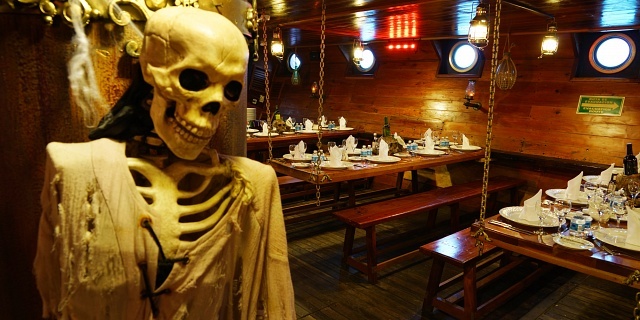 Pirates may not be famed for being the most honest team players but there is something to be learned from their drive for treasure and their democratic lifestyle that makes an incentive tour, team building or corporate event a fun and exhilarating outing for your executives or business colleagues. 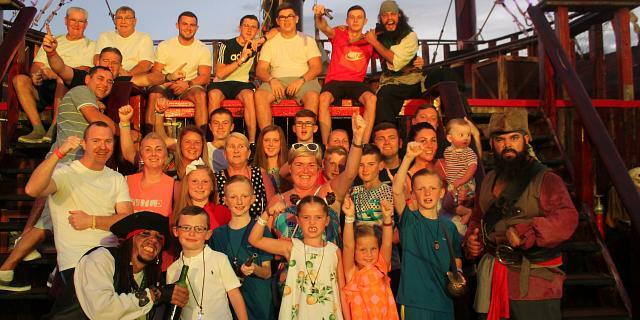 Groups of family and friends can also delight in the pirate antics on the Jolly Roger pirate ship for a variety of themed parties and social gatherings, including weddings, vow renewals and even the modern buddymoons. Trust the Jolly Roger pirate ship to organize something special for you and your group, tailoring experiences to fit your goals and desires. 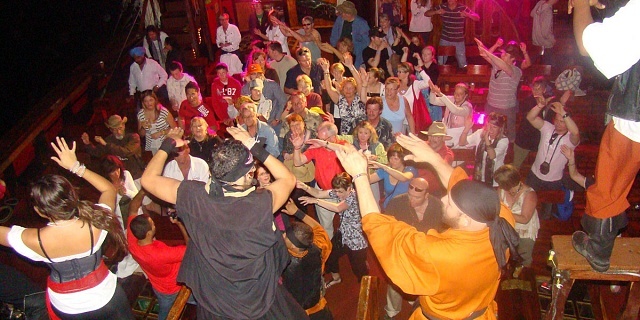 Maybe you are looking for an entertaining night out to break the ice amongst your incentive group or wedding guests or perhaps you have something more didactic in mind where staff train and work together to become the next captains of the Caribbean in a pirate themed team building weekend. Whatever you have in mind, we can find a way of delivering it, pirate-style! 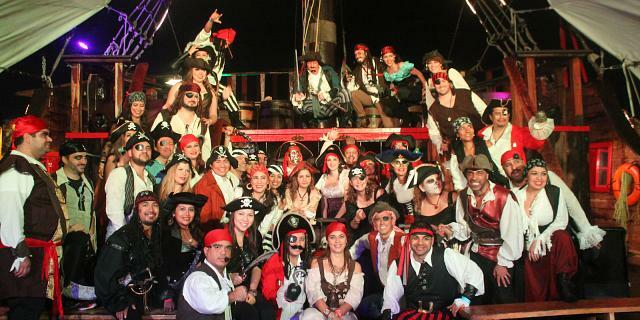 The Jolly Roger pirate ship’s group services in Cancun provide a host of opportunities for you and your team to engage in fun activities that are perfect for incentive groups, corporate events and team building. 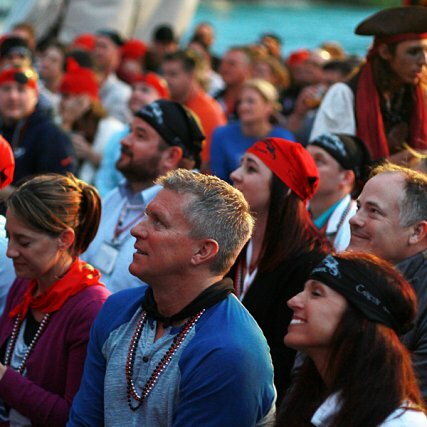 Whether you are treating you executives for reaching their yearly targets or building trust amongst your employees, the Jolly Roger will inspire your team. 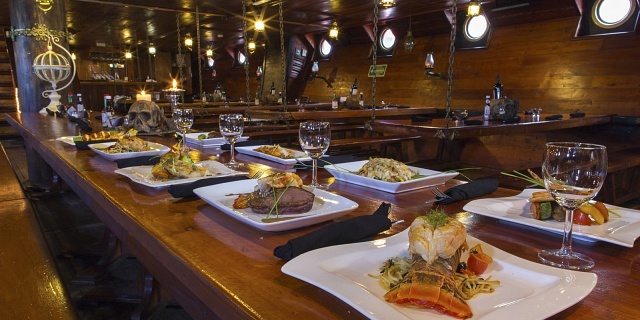 Why not hire the whole pirate ship and tailor a private corporate event while sailing the caribbean. 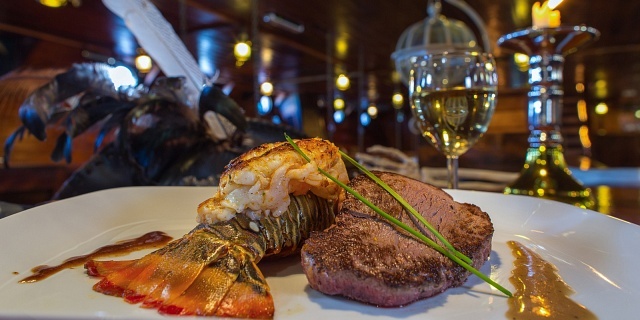 The Jolly Roger pirate ship in Cancun is not called “jolly” for nothing! You are guaranteed a jolly ol’ time aboard this galleon which is a replica of Christopher Columbus’ flag ship, the Santa Maria. 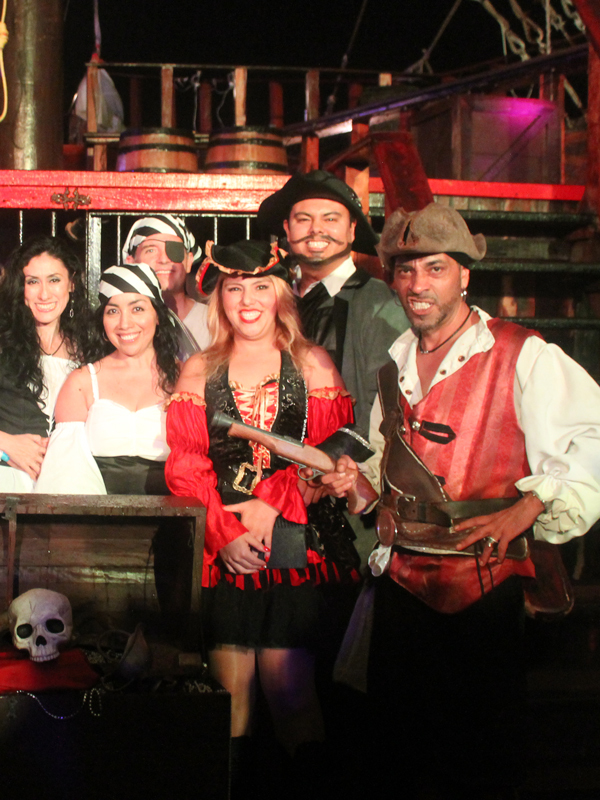 Wedding groups, family reunions, bachelor and bachelorette themed parties, vow renewals, Grandpa Joe’s 80th birthday … you name it, our talented bilingual pirates are poised at the ready to create a party out of any occasion. So, put on a bandana and join the fun. Located within a stunning Caribbean setting, both the temperatures and likelihood of sunshine make it an ideal place to tailor activities or special events for your corporate groups and social gatherings. We could sail in the morning and enjoy a snorkel adventure and even journey to Isla Mujeres for a private group event or incentive tour. 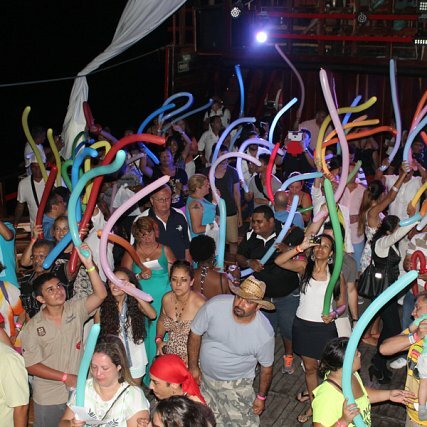 Or perhaps you would like to sail late in the afternoon into the night to indulge in pesky pirate antics with a bunch of crazy pirates, forging memories that will put a smile on your face for years to come. Oh, and let’s not forget the fireworks. Just as each and every group is different, so the Jolly Roger pirate ship can customize your experience, making sure that every detail is just how you want it. We have the ideal venue and entertainment for your groups and gatherings, all you need to do is tell us the purpose of your event so we can arrange highly personalized, confidential and private services according to your needs and preferences. 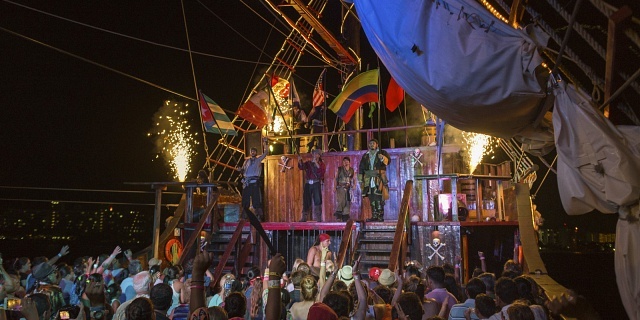 The Jolly Roger pirate ship Cancun is the No.1 choice for incentive groups, corporate events, team building, themed parties and social gatherings. Ahoy Matey!